This sweet little kitten is braver than us all – Gingersnap the orange tabby was found with wounds on her back and neck. Although no one is certain on what happened for sure, it looked like another animal had bitten her. The little stray kitty was rushed into Best Friends Animal Society, who cleaned her right up and applied medication to heal her wounds and help the pain go away. But baby kittens aren’t good at leaving wounds alone and letting them heal. 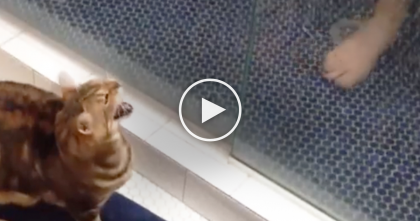 So the rescuers put on an adorable, protective Lion King sweater that matched her personality – brave and lionhearted! 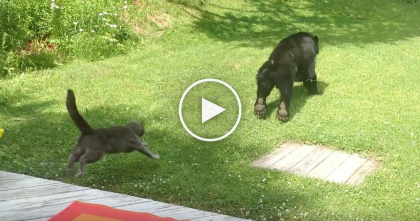 What an amazing and brave kitten—SHARE this sweet story with your friends! 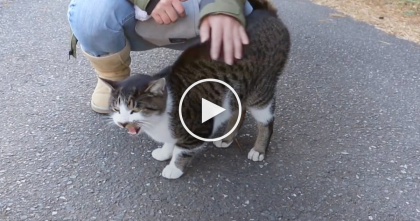 Owner Calls Kitty For A Bath, But His Reaction Is Just TOO MUCH… I’ve NEVER Seen This Before?! 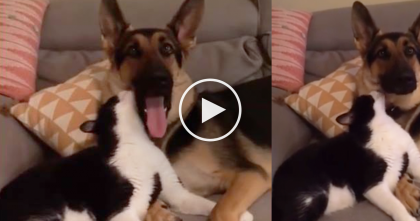 They Walk Into The Room, But When They See The Cat?? My Heart Just Melted… Adorable! !